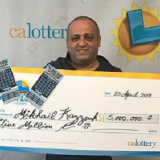 Lottery betting has become an immensely popular trend nowadays as you don’t have to actually participate in the lottery game itself. Instead, you just have to place bets on the outcome of the lottery of your choice and claim your prize with ease. 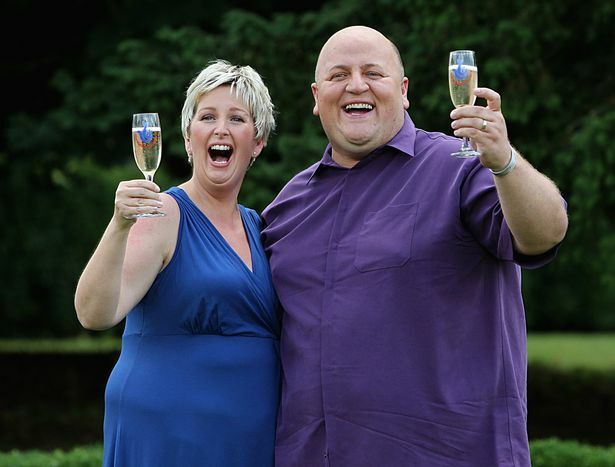 But, in order to do so, you first need to choose a lottery betting service. 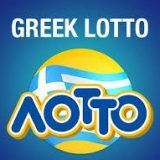 One option that you will come across is called MultiLotto, an international lottery betting service that gives people access to more than 60 lottery games all around the world. The service is operated by Multi Pay N.V. and it accepts players from different parts of the world with the exception of US, North Korea, Syria, Sudan and Iran. The service was founded in 2010, but was officially launched in 2012. 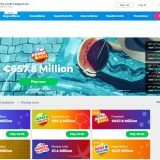 MultiLotto is registered in Curacao and is primarily focused on its lottery operations, but also offers players access to virtual scratch cards and a casino section. One of the best things about MultiLotto is that it provides players with a secure, fun and friendly environment for playing your favorite lottery games. This global website can be accessed in approximately 18 languages and bets can be placed on the outcomes of the lotteries. One of the best things about MultiLotto is that it gives you access to a ton of lottery games all around the world. 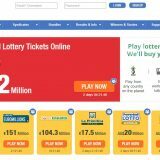 You can participate in some of the popular lottery games such as US Powerball, US Mega Millions, Euro Jackpot and Euro Millions. But, these are not all. Apart from these games, you can also place your bets on outcomes of Australia Powerball, UK National Lottery, New Zealand Powerball, SuperEnalotto, Oz Lotto, France Lotto, Belgium Lotto, Australia Saturday Lotto, South Africa Lotto, OtosLotto, Illinois Lotto, Florida Lotto, Netherlands Lotto, Quebec 49, Washington Lotto, Double Lotto, El Gordo Navidad, Greece Lotto, Romania Lotto 6/49, Lotto Max, Turkey Lotto 6/49 an Sweden Lotto amongst others. When you decide to participate in online lottery betting via MultiLotto, you will be able to enjoy several product types. The first is Single Play in which you can purchase your own tickets for the lottery game of your choice. Remember, these are just bets you are placing on the outcome and not the tickets to the official lottery game. The second option is Group Play, which allows you to participate in online lottery as part of a group. All costs and winnings are shared and this increases your chances of winning. 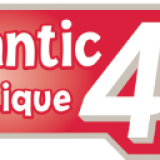 There is also the option of Systematic Game that enables you to select 12 numbers through a single ticket for exponentially boosting your chances of winning. Some unique features have been incorporated by MultiLotto on their website, which can provide a very nice lottery experience to players. Some of these features include the Quick Pick option, which allows players to choose random numbers on their lottery ticket. There is also the Subscription option that allows you to subscribe for draws of your favorite lottery in advance and these can range from one month to one year. This way, you don’t have to miss even a single draw. These are intuitive and fun features that make playing considerably convenient and easy for players who wish to play regularly. The development and design team at MultiLotto have come up with a beautiful and fully responsive website that can be smoothly navigated on desktops as well as mobile devices. Players also have the option of downloading the dedicated apps designed for both iOS and Android platforms that also have easy to use and functional interfaces, which appeal to all kinds of players. Another great feature of MultiLotto is that they have made the security and safety of their website a major priority. They have implemented the latest SSL technology in order to ensure that all funds are secure and safe round the clock. They have been licensed by Curacao eGaming, which is authorized and regulated by the Curacao government. The credit card payment processing is the responsibility of Multi Brand Gaming Limited, which means that they have to follow strict codes and regulations within the industry. 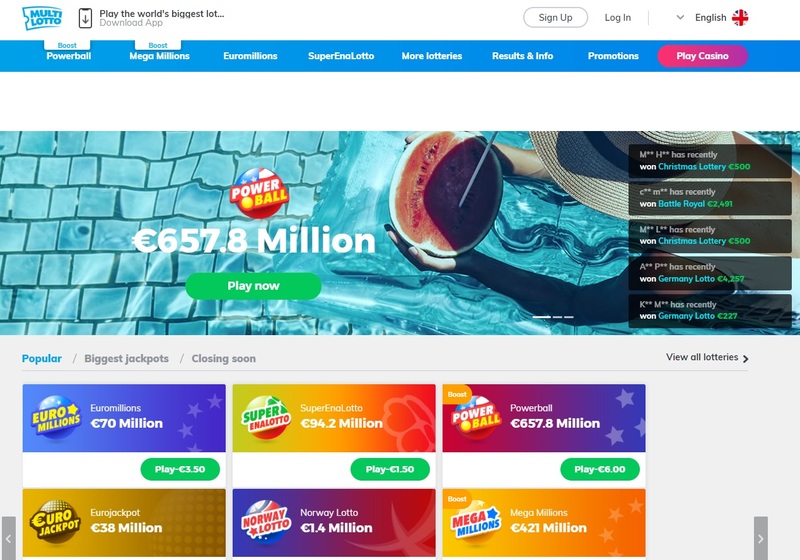 In order to ensure that players from all around the world can participate in the lottery game of their choice, MultiLotto accepts a variety of payment methods on its platforms. You can make your payment via bank transfer or you can also use your Visa, MasterCard, Diners Card, Neteller, Skrill, JCB, EntroPay and more. Not only does it allow more and more players to join in, but they also give existing players the opportunity of protecting their payment details by choosing to use e-payment methods. In this regard, MultiLotto definitely doesn’t let its players down. First time users are entitled to a sign up bonus of 100 percent on their first deposit. Referral codes are also provided, which are released from time to time by the partners. Since these tend to vary, players are asked to keep an eye on social media platforms and partner platforms to know what they are. MultiLotto understands the importance of customer support due to which it has made sure players can easily access it whenever they need. Getting in touch with the website is incredibly easy and there are different email addresses that you can use for getting in touch with the support center. You can also reach them through a contact form. Other than that, there is also a huge FAQ section where you can find answers to common queries and not need any assistance from their team at all. In a nutshell, MultiLotto offers a great selection of games to lottery players who are interested in betting, along with an excellent sign up bonus and a wide array of payment options. Users can have a memorable experience on the website, whether they are first-time players or seasoned ones as it has a streamlined and wonderful design. 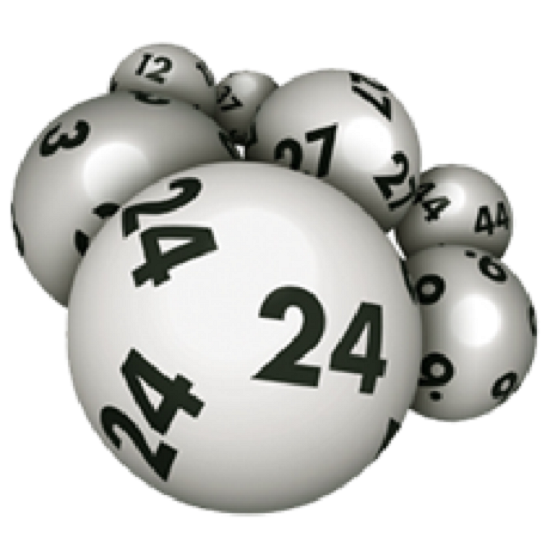 You can play the lottery of your choice and check its results in a safe and secure manner with MultiLotto.